We live in a world where people crave likes and followers on social media but don’t care about being liked by their next door neighbor. Social media effectively controls the lives of millions around the world. 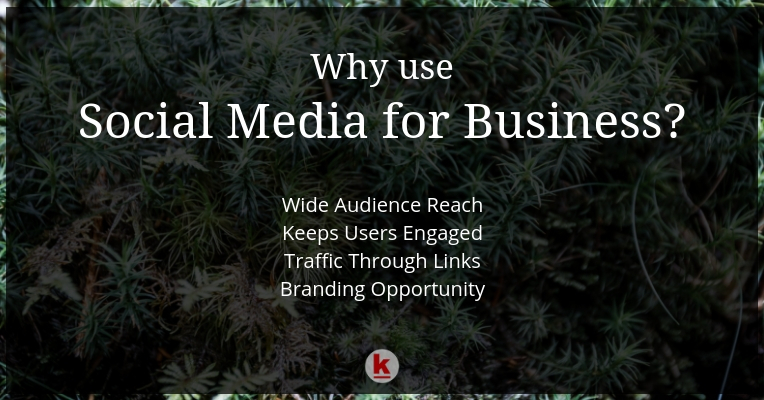 No wonder businesses have found ways to harness the impact of social media on business. The use of social media for marketing purposes is an aspect of the digital marketing strategy. The question why use social media for business can be answered in a simple phrase: because that is where people are. It is estimated that by 2019 there will be 2.77 billion people worldwide who would be using social media. 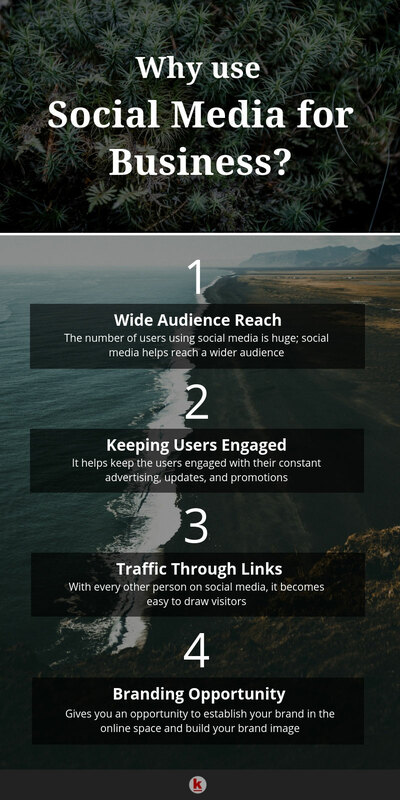 These figures demonstrate the huge reach that social media has. According to Google, people worldwide run 3.5 billion searches on the Google search engine every day. Facebook claims that there are two billion searches on their social media site each day. These claims demonstrate an interesting fact: that many today use social media not just to connect with others but also to search for information. This information would certainly make any business sit up as they can use social media marketing for business to greatly expand their reach. When a social media user receives information from a friend he knows, loves, and respects, it has an emotive element which impacts him more than any cold advertising would. It motivates him to give positive consideration to the material. If there is a link to your website, or if there is a CTA button built in, it automatically serves to engage the visitor. Surveys indicate that people go through their social media pages multiple times each day. Social media marketing services for small businesses have a very good ROI because much could be done with a very little investment. Social media posts can have links to your website that would increase traffic on the website. It could be used to generate leads of potential customers. It is directly linked to increased sales for the organization. Social media can also be used to keep in touch with your customers. You not only make new customers but keep existing customers engaged and retain them. They in turn often advertise for you by word of mouth, or through their media posts. Social media can also be used for branding. The posts and reviews on social media build up a brand image that serves as a powerful influence on potential customers. Monitoring conversations that are relevant to your product will provide you with insight on how potential customers view you. It also gives insight into what is being said about your competitor’s products. You are then able to keep your finger on the pulse and adapt according to the need. Social media marketing is here to stay! Since it is easy to use and affordable, social media marketing can be used by both small and large businesses. However, like any other technology, social media is also evolving and changing constantly. Artificial intelligence, data science, and virtual spaces are the emerging technologies and they will impact the use of social media for business. By now you know why social media is important. Reach out to us for a free audit of your business website! Businesses can no longer deny the usefulness of social media. It has become an integral part to connect with customers. I gotta say that facebook played a big role in finding new customers. This is the article I've been looking for! I want to learn how to crush in all platforms.